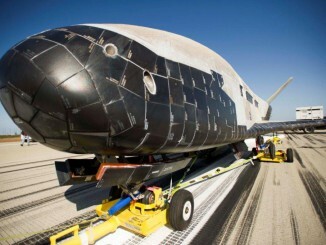 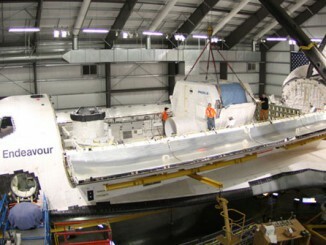 Two years after it paraded through the streets of Los Angeles following a cross-country ferry flight from Florida, the space shuttle Endeavour was loaded with a Spacehab logistics module ahead of the orbiter’s planned transition to a vertical display on a mock launch pad in 2018. 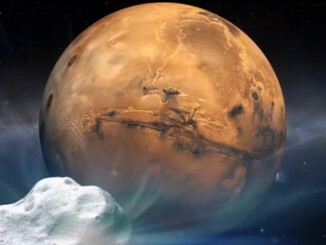 An international fleet of five Mars orbiters and two rovers will have ringside seats when a mountain-size comet streaks by on Oct. 19, passing within a scant 87,000 miles of the red planet at a blistering 126,000 mph. 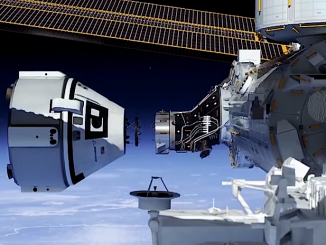 Boeing Co. and SpaceX, selected by NASA last month to carry astronauts to the International Space Station, can resume development of their human-rated spacecraft after officials ordered a work stoppage prompted by a protest by Sierra Nevada Corp., the company left out of the contracts. 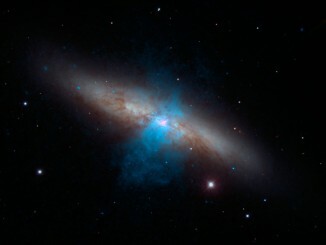 A NASA space telescope studying X-ray emissions from a nearby galaxy has discovered the brightest pulsar ever detected, the fast-spinning remnant of a collapsed star that shines so intensely it was initially mistaken for a massive black hole, a possible “missing link” between compact stellar-mass black holes and the unseen monsters lurking at the cores of many galaxies. 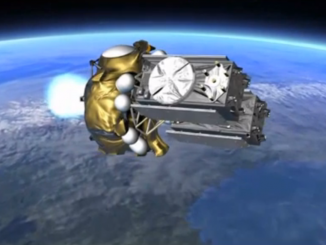 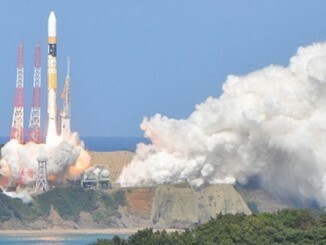 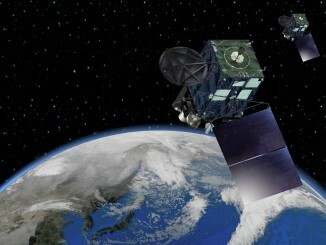 A design flaw in a Russian Fregat upper stage was responsible for the botched orbital injection of two European Galileo navigation satellites in August, causing hydrazine fuel to freeze inside the rocket’s maneuvering system and rendering it unable to point in the right direction during a critical engine burn. 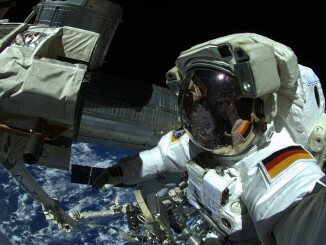 Working outside the International Space Station, NASA astronaut Reid Wiseman and European Space Agency crewmate Alexander Gerst successfully moved a failed ammonia pump module to an external stowage platform, completing a task originally planned for a repair spacewalk last December. 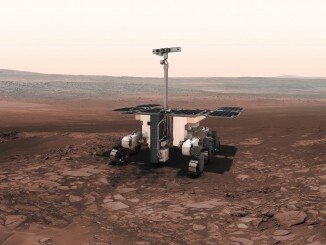 The European Space Agency has announced four candidate landing sites for the ExoMars rover, as a deadline looms to secure full funding for the mission in time for a scheduled launch to the red planet in 2018.